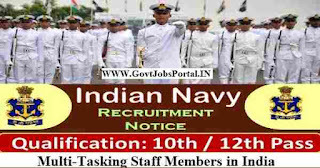 Government Jobs in Indian Navy for Multi-Tasking Staff members. Indian navy issued an official notification in which they said that they want to heir young Indian candidates for Multi-tasking Staff member posts in India. Those who are looking to make a career in Indian Navy than this is the best opportunity to make one. The well qualified Indian residents can apply through the Registered/Speed Post for the following Non-Gazetted posts of Eastern Naval Command. The designated applicants are to serve in the different units of Eastern Naval Command of Indian Navy. Candidates will be posted anyplace in India, in Naval Units/formations as per administrative requirement. We personally advise all Indian candidates to read the advertisement carefully for more detailed information related to the educational qualification and other eligibility criteria. We also try our best below to explained the whole process below in an easy way. So read this article very carefully before the submission of application form. What are the various eligibility Criteria? Education: Indian candidates who have passed in their Matriculation class from a well-recognized education board of India and also have the proficiency in that relevant trade. 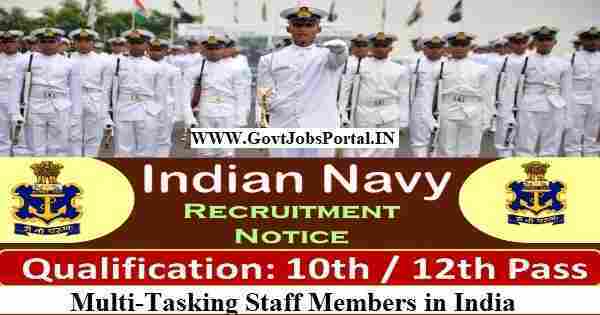 Age Bond: Applicant age must be in between 18 years to 25 years for applying this Indian Navy recruitment 2018. Candidates have to apply off line through the application form. You have to take the print out of the application from on a good quality paper, fill up that application form with your own hand writing or typed as per the prescribed format along with the latest passport size color photograph duly self-attested. 25TH Aug. 2018 is the Last Date to accept application.